While our closets house some of our most sacred possessions, they also have the capacity to catapult us from calm to crazed in seconds. Especially when they’re packed to the brim with items, which, quite frankly, are collecting cobwebs. But, it’s never too late to save your sanity — and style – by unloading those unworn goods for cash and trolling for secondhand treasures. 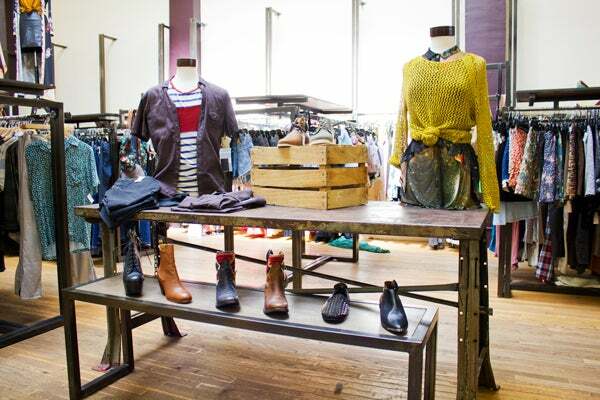 To aid you in becoming a savage scavenger, we’ve devised a handy-dandy cheat sheet to S.F.’s best consignment shops. Whether you’re looking to replace that pair of too-snug jeans with some vintage YSL's or trade in a tired tulle frock for a slick pencil skirt, we promise, there is a cheap find for every kind on this list. 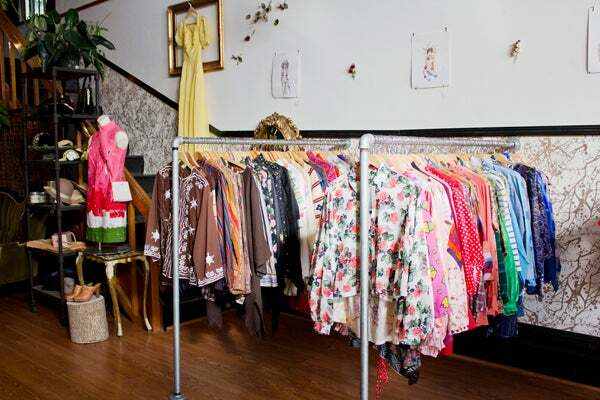 Located in Rockridge, this East Bay gem is giving lots of love to Oakland by not only providing residents with gorgeous, vintage resale rags, but by consigning items only from local fashion and jewelry designers. It accepts vintage clothing, accessories, jewelry, and footwear from the public on the weekends. So, the best time to wander in is on a Monday for a first look at the newest treasures. Eclectic vintage (like a Fred Perry wool jacket worth $400 for only $58) and local East Bay independent designers. Pretty Penny, 5488 College Avenue (between Forest Street and Lawton Avenue), Oakland; 510-594-9219. As a go-to for many West Coast stylists who are looking for that extra-special something, Oakland’s Mercy Vintage is the place to find those mind-blowing “wait, where did you get that?” pieces. It buys and replenishes daily, and consigns new handmade jewelry and designer clothing and accessories. Bonus: The profit is split equally with clients. Unusual statement items including embellished motorcycle jackets, hand-embroidered tops from Guatemala, and '70s batik wrap skirts. You'll also find vintage designs from YSL, Alexander McQueen, Issey Miyake, Pierre Balmain, Ceil Chapman, and James Galanos. 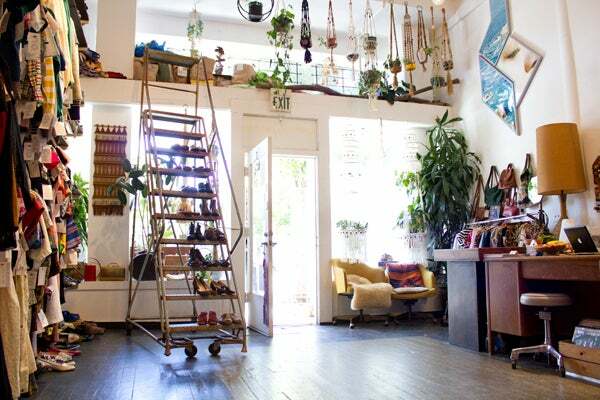 Mercy Vintage, 4188 Piedmont Avenue (between Linda and Entrada avenues), Oakland; 510-654-5599. Sui Generis is a must-hit for S.F.’s style set when looking for that special-occasion something you know will turn heads. With a constant influx of amazing designer pieces, it’s best to hit the shops two storefronts (one for men, one for women) on the regular. If you’re looking to unload, it offers appointments during the week and consignors get paid 40% of the final selling price. Last season’s Gucci, Prada, Lanvin, Marni, Tom Ford, YSL, Comme des Garçons, Rick Owens, Chanel, Hermès, and Louis Vuitton in exceptional condition. Miguel Lopez, co-owner of Sui Generis says, “If you are looking to sell, have reasonable expectations about pricing for secondhand items. And, if something is not a perfect fit, but really close — a little tailoring works wonders." Sui Generis Illa, 2265 Market Street (between Sanchez and Noe streets); 415-437-2265. Sui Generis Ille, 2231 Market Street (between Sanchez and 15th streets); 415-437-2231. For over 14 years, customer service has been a priority for Lynn Nice, the owner of Labels. 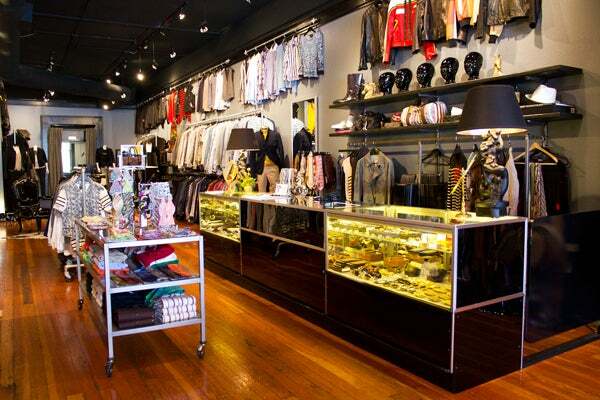 With two locations — the original apparel store in Walnut Creek and an accessories haven in Berkeley — this high-end consignment store offers personal shopping, layaway, and no-appointment-necessary drop-offs — seven days a week. It features only women’s clothing and consigning is a 50/50 split. The store is organized aesthetically by designers and category and if you’re budget is a little lower, don’t worry, they’ve got some sweet sale racks with items under $20! High-end designers galore, including Gucci, Prada, Moschino, Jean Paul Gaultier, Dolce & Gabbana, Giorgio Armani, Hermès, Chanel, Christian Dior, YSL, Sonia Rykiel, Jil Sander, and Chloé. Also: contemporary brands like Diane Von Furstenberg, Cynthia Vincent, Theory, Milly, Trina Turk, Tory Burch, and Catherine Malandrino. Lynn Nice, owner of Labels Luxury Consignment says, “If an item you are considering is at the shop for a month or two, ask for a better price. We often have leeway after our contractual agreement term is met. Most consignment shops and its consignors want to move these items at a reduced price when there is a client match with the price adjustment!" Labels Luxury Consignment (apparel), 1367 North Main Street (between Duncan and Cypress streets), Walnut Creek; 925-952-4566; Labels Luxury Consignment (accessories), 2629 Ashby Avenue (between Benvenue and College avenues), Berkeley; 510-356-4144. This huge open space stacked with vintage-rock tees and slightly worn designer duds is the reigning king of cool on the tourist trap that is Haight-Ashbury. It doesn’t offer consignment, but buys outright every day from noon until 6 p.m., giving the seller 35% of whatever it prices the items at. Vivienne Westwood, Proenza Schouler, Alaïa, and vintage Chanel mixed with new items by Minkpink, Motel, Jeffrey Campbell, and See You Monday. Wasteland, 1660 Haight Street (at Belvedere Street); 415-863-3150. This well-curated shop in Upper Haight runs the gamut, from everyday-wear to high-end designer pieces. Static conveys a very strong aesthetic (think '90s ankle boots and sweaters) and is less concerned about labels and more focused on style. Prices vary and you can pay $10 for a perfect vintage t-shirt or up to $3,000 for a designer bag. It purchases items from the public for 40% of the retail price. Broken-in rock t-shirts, vintage Levi's jeans and jackets, jewelry, and designer bags and luggage. Vintage day and cocktail dresses as well as contemporary dresses and coats from labels such as Diane Von Furstenberg, Rag & Bone, Burberry, and Missoni. For the men, vintage and modern Comme des Garçons, Issey Miyake, Thom Browne, YSL, and Christian Dior are there for the taking. Static Vintage, 1764 Haight Street (between Shrader and Cole streets); 415-422-0046. As with any job, hard work pays off and Crossroads is a perfect example. Be prepared to spend more than an hour in one of the many locations scattered around the Bay. The style and color-coordinated shop is packed with new and used clothing that is priced upon style, condition, and seasonality. 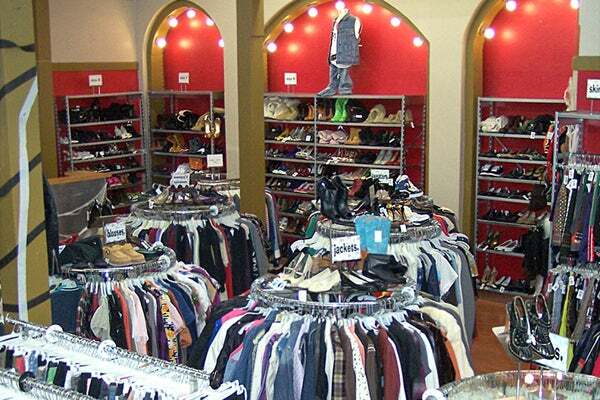 The best bet here is to go through all the racks and try on everything that you think might work! There are some real treasures hidden in the chaos. Most people consign over the weekend — the shop gives consignors 50% of the selling price — so the best time to come in for a first look is on Sunday afternoon (or Monday to avoid the weekend rush). Designers like Marc Jacobs, Diane Von Furstenberg, and Phillip Lim hidden among more trendy H&M and Forever 21 items. Crossroads Trading Company, 1901 Fillmore Street (at Bush Street); 415-775-8885. Right smack in the middle of the hip Valencia Corridor, No Vintage will make you want to say yes to everything you see. As with most shops, consignors get 50% of the sale price. Well-made basics like button-ups and silk tanks, small fitted jean jackets, oxfords, woven-leather flats, and lace-up boots usually get snatched up right away. Mostly, you'll find vintage skewed towards the '80s and '90s. Flowing floral print dresses, high-waisted and tapered Guess? jeans, pieces by Bongo and Calvin Klein, and vintage Coach purses and backpacks. Men can count on great Woolrich and Pendleton flannels. No Shop, 389 Valencia Street (near 15th Street); 415-252-9982. Cris is most definitely worth the trek over to Russian Hill. It houses two rooms of gorgeously merchandised high-end and mid-priced brands for both men and women. The prices can tend to be high, but you can definitely find some steals. Perusing the racks feels similar to shopping in a boutique and when it’s all said and done you even walk away with a gorgeous bag garnished with a fresh flower. Swoon! YSL, Chloé, Marc Jacobs, Prada, Miu Miu, Christian Louboutin, J.Crew, and Banana Republic in perfect condition. Cris, 2056 Polk Street (at Boradway Street); 415-474-1191. This brand-spanking-new store up on Union Street is focused on designer consignment, steering away from vintage unless it is something absolutely covetable. You can easily snag Prada boots for $475 or stumble upon a $350 Missoni dress with tags. They pay 40% of the selling price and have automatic check-in to make the process easy and hassle-free for sellers. Alexander McQueen, Vivienne Westwood, Diane Von Furstenberg, and Missoni sundresses; Alice + Olivia, Louis Vuitton, and Gucci purses and statement-making shoes. For men, John Varvatos boots, Gucci suits, Hermès ties, and Louis Vuitton dress shoes. Fillmore and 5th, 1775 Union Street (between Octavia and Gough streets); 415-814-3776. Nestled in Laurel Heights (read: luxury ladies' castaway heaven) this bargain-hunter’s dream has upscale lines at super-low prices. Hit up one of the yearly sales in January and July to sweeten the deal. It consigns only designer brands for 50% and makes it easy by allowing you to drop off while they assess and email you the inventory list. It even makes house calls for large closets! High-end designers like Gucci, Prada, Ferragamo, and Hermès for under $80. Goodbyes Consignment, 3464 Sacramento Street (between Laurel and Walnut streets); 415-346-6388. Another outpost for the upscale women of Pacific Heights' gently worn garb, The Designer Consigner consigns for 40% and is home to women’s apparel and accessories. While you have to dig a bit for on-trend items, we’re not above a little elbow grease for a bargain. Hey, luxury ladies, thanks for your leftovers! Both mature and youthful styles from Ralph Lauren, J.Crew, Tory Burch, Theory, St. John, and Ann Taylor. The Designer Consigner, 3525 Sacramento Street (between Laurel and Locust streets); 415-440-8664. A mandatory stop for anyone on the closet-purge tour, Buffalo Exchange is much like Crossroads where the inventory is plentiful and you should be prepared to dig. The selection is pretty funky and feels a lot like thrift, but with better quality and styles. If selling, the shop buys outright, pricing on condition and style, and looks for on-trend items. Low-priced, mid-level designer scores, '60s through '90s vintage, and last season’s BCBG, Forever 21, and H&M. Buffalo Exchange, 1555 Haight Street (between Ashbury and Clayton streets); 415-431-7733; and 1210 Valencia Street (between 23rd and 24th streets); 415-647-8332. They say that good things come in small packages, and that is very true for Painted Bird, located just a few blocks off the beaten path on Valencia. While it may be tiny, you are guaranteed to find something that will tickle your fancy from vintage to independent designers at prices that will make you do a double take. It pays outright 35% cash or 55% trade when consigning items. So, grab a few things and head in for an upgrade! Vintage flannels and wool shirts, embroidered tops, leather jackets, and shoes for really cheap! Plus, Painted Bird's own in-house accessories label. Painted Bird, 1360 Valencia Street (between 24th & 25th streets); 415-401-7027.